^ 1.00 1.01 1.02 1.03 1.04 1.05 1.06 1.07 1.08 1.09 1.10 1.11 1.12 1.13 Danser, B.H. 1928. 36. Nepenthes pilosa DANS., spec. nova.. In: The Nepenthaceae of the Netherlands Indies. Bulletin du Jardin Botanique de Buitenzorg, Série III, 9(3–4): 249–438. ^ 2.0 2.1 夏洛特. 食蟲植物觀賞&栽培圖鑑. 台北: 商周出版. 2007: 77. ISBN 978-986-124-850-9. ^ 3.00 3.01 3.02 3.03 3.04 3.05 3.06 3.07 3.08 3.09 3.10 3.11 3.12 3.13 3.14 Phillipps, A., A. Lamb & C.C. Lee 2008. Pitcher Plants of Borneo. Second Edition. Natural History Publications (Borneo), Kota Kinabalu. ^ 4.0 4.1 4.2 4.3 Clarke, C.M., C.C. Lee & S. McPherson 2006. Nepenthes chaniana (Nepenthaceae), a new species from north-western Borneo. Sabah Parks Nature Journal 7: 53–66. ^ 5.0 5.1 5.2 Phillipps, A. & A. Lamb 1996. Pitcher-Plants of Borneo. Natural History Publications (Borneo), Kota Kinabalu. ^ 6.0 6.1 6.2 6.3 6.4 [Anonymous] 2006. New pitcher plant species that went unnoticed. 互联网档案馆的存檔，存档日期2007-09-21. Daily Express 28 October 2006. ^ 7.0 7.1 7.2 Schlauer, J.N.d. Nepenthes pilosa. Carnivorous Plant Database. ^ Smythies, B.E. 1965. The distribution and ecology of pitcher-plants (Nepenthes) in Sarawak. UNESCO Humid Tropics Symposium, June–July 1963, Kuching, Sarawak. ^ 9.0 9.1 9.2 9.3 Clarke, C.M. 1997. Nepenthes of Borneo. Natural History Publications (Borneo), Kota Kinabalu. ^ Nepenthes pilosa. IUCN Red List of Threatened Species 2006. International Union for Conservation of Nature. 2000. Listed as Endangered (EN B1+2c, D v2.3). Clarke, C.M. & Lee, C.C. 2004. 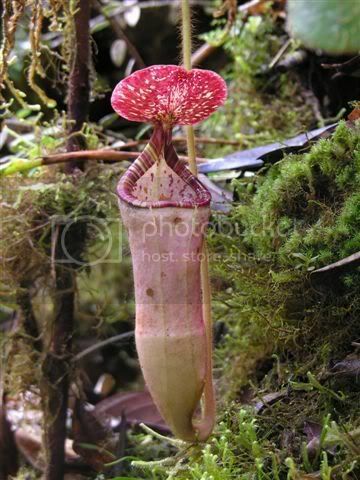 Pitcher Plants of Sarawak. Natural History Publications (Borneo), Kota Kinabalu. Steiner, H. 2002. Borneo: Its Mountains and Lowlands with their Pitcher Plants. Toihaan Publishing Company, Kota Kinabalu.